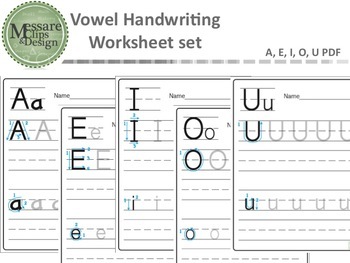 This is a simple printable Vowel worksheet collection in PDF used for primary education to reinforce proper handwriting technique. Check out the the Free "Letter C" to see if you like the quality before buying. All designs and images are creative property of Messare Clips and Design and should not be redistributed unless incorporated and secured in a new original design/product.